This post examines the low completion rates for students taking an e-course. It also offers ideas and suggestions to shift your mindset for creating interactivity and for setting up “student outcomes” as a key objective to e-course success. After years of research, testing learning experiences, and participating in online learning, I’m finally following a path to bootstrapping success in the eLearning arena. Suddenly, just as I was about to promote, pre-sell and launch into an e-course. Eeerk…squealing breaks…my Beta testing came to a sudden halt. Bang. It suddenly hit me, the NEW GOAL: Let’s Create Learning Journey Artwork! Sounds fun, right? Well, there’s so much more to it than just fun. But let’s start there, okay? Before we do, let me clarify, this is about creating engagement to craft a Learning Journey. One that keeps students enthralled—not simply enrolled—interested and attending, participating and even excited. Students who actively complete your course, and most importantly, yep, are happy! If the Goal is for Students to Take Your Whole Course, e-Educators are Failing! While success starts and ends with a capital S for the likes of DigitalMarketer and others, industry statistics tell an incredibly different story. It came to my attention in crushing blows, starting with the incredibly “kurious,” and Krazy enough to check it out Kopywriter, Neville Medhora. 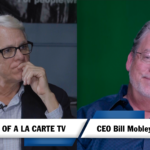 In this video, Mike Weiss from the Client Engagement Academy gives an extremely interesting interview to LifterLMS’s Chris Badgett. In the video, he reveals and reports on the sad state of completion rates for online courses. Mike shares data from a few industries ranging from a 3% low completion average to an equally sad 12% maximum rate for one industry. This information is a slap in the face, enough to dampen the spirit of eLearning educators everywhere. 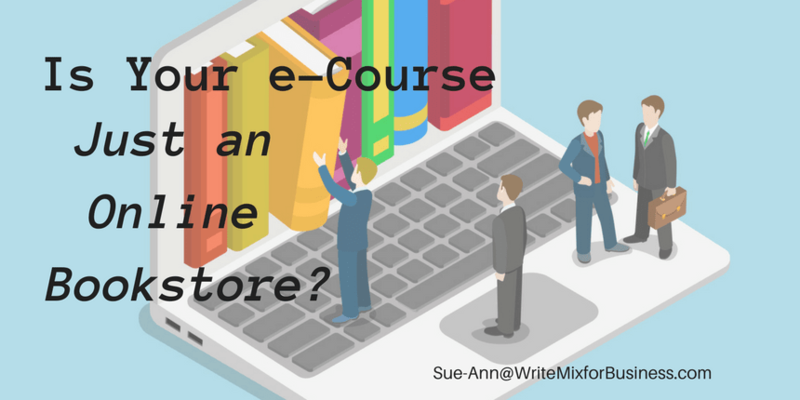 Perhaps stopping others from even trying to create e-courses. Silly me. My first thought—I think I can do this anyway, but I need to do it better, er, uh, maybe the word is different. Having trouble fitting my work inside the “guidelines” of “proper” web content anyway, I began to think. Why not explore eLearning and e-course and Instructional Design and online learning possibilities in an alternate way? A way where students are more likely to make it past the pitiful 10% or less completion rate, currently considered the “high end” for students taking e-courses. I’m likely not correct with the math (wrong brain) but, what I hear is a 90% chance to do better. A 90% gap to fill to create a learning journey worth continuing to an end result, making your information truly valuable. Valuable, because it gets consumed by your students. Students reaching success via the learning experience you present, helps to make your course viable, too. Concentrating on student success, therefore, is a good way to measure your work. And a useful way to plan steps for actively taking students to the finish, making sure they’re all in. As a course creator, I’m beginning to understand why building a course is bigger and more three dimensional than the current state of many eLearning experiences which are, in essence, a mere library of reading and .pdf downloads to support the subject at hand. Many video-rich courses render the same—as flat instructional lectures without the feel of showing, rather than telling. On top of that, the telling that’s told is broad and lacks specific directions and actions to take students through a process to learn by directly participating. And worst of the worse—the student finds they can’t even get a question answered within the course and course content system. Talk about silence in the library! Geez. I’ve paid for that course and so have you, right? You have to stop and ask yourself—or at least I did—are you creating a “library,” too? Okay, maybe only a bookshelf or even a book, but the highlight is the same. So, when it comes to e-course creation, maybe the thing to ask yourself is: are you creating a unique and dynamic learning experience? Now we’re talking! But, thought and shifting a mindset are not the same as initiating a method to enact a dynamic learning environment for students. Even on the verge of announcing and promoting a new e-course, the niggling and inkling of changing it up from “blah blah blah” to “Tada” put me on a path. Switching it up from “design-centered” to “human-centered” requires a flip in thinking. As it turns out, a super smart guy, Yu-kai Chou, a gamification and behavioral design expert, figured this all out awhile ago and leads the field. Still in? Great—you can use everything you hear as well as ideas I share immediately and in any number of ways—as many ways as you can imagine! Yep. You heard it right. I am throwing in the scary crazy word for business, “imagination.” It’s a word I personally feel more businesses need to embrace. Look, while imagination isn’t the place to go for the vital details of the data or information you are presenting, it does represent a unique opportunity for you to create a meaningful experience using said info in a uniquely presented way. Use your imagination to offer a twist in the learning journeys you produce. Make your twist interesting, exciting, enthralling, unexpected, and different. Draw people in and keep them involved and participating in the process. Meet Doober and Skeeter. A perfect example using a little imagination in creating an experience to transform students via the experience of taking an e-course. What I like about the learning journey created by Bradley and Andy, besides characters like those two above, is their genuine commitment to transformation for their students in the process. But, maybe the most impactful aspect of the “Great e-course Adventures” they produce is how they equate course creation to art. And, while shaping their courses into art, they also excel at shaping people. People who are changed by a transformation they experience via the learning environment Brad and Andy artfully sculpt. Immersive learning. Is that a thing? Well, that’s what these guys are talking about in guiding students to a point of transforming them. In their Great E-course Adventure (GEA), Bradley and Andy tell their students, straight up, “You are an experience designer.” Whoa, a big load, right? The magic happens by designing a course as a work of art while transforming students in a guided, engaging journey that turns into fun for all. Why can’t learning be fun? Why can’t business be fun, too? Beyond superficial learning from a library of topics and links, remember you are creating a transformation—an experience that changes a person—and creating art too, so your course plan has to bring a whole lot more. To stretch a little further, this quick accompanying animation is my dive into expanding my creative tool set a little more. Taking a little dip into imagination, it’s another way to practice crafting an inspiring message. Mixing media adds to the art of your e-course creations, making the possibilities endless. Learning can be fun and to me it always is. But, turning up the game in your e-course productions makes all the difference for students. Gamification provides the power to create engagement but, if you’re like me, you may mistake the term and what it’s about with games. While games do utilize gamification, the concept and its importance to e-course creation is the process it provides for connecting with people. Connecting in a way that motivates them, that is. Making people want to participate or play is a turning point for course creators. Changing the “have to do it” mentality to “want to do it” is significant. But, to turn it to “can’t wait to do it, it’s fun!” means everything to students. And, it changes the entire experience in learning. But fun is designed and specifically built. Sometimes, by using awards along the way like badges, certifications, and points. But, that’s only the very surface elements. On a deeper level—the one you need to reach—you have to find a way to connect with the core drives in people. The physio-psychological motivations that cause people to act and perhaps, react, in a particular way. Thankfully, Yu-kai—this article’s gamification expert—has a complete system to help you with the process. Octalysis consists of 8 core human drives useful for connecting to both human desires and motivations, internal and external in nature. Turning his key points into a checklist for gamifying the learning experiences you create is pure gold. Dipping into core motivational drivers in people allows for engaging e-course building. No wonder Bradley and Andy incorporate Yu-kai’s framework! Uniqueness is okay but, let’s bottle it and the imagination part into a new mixture including Yu-kai’s Octalysis principles. Except, when flipping focus to look deeper at the student and their transformation, your design perspective no doubt changes as well. The minimally viable product theory becomes completely clear and sensible and best of all, doable. Pickup Chris Badgett’s LifterLMS plugin (the guy in the first video with Mike Fleiss) and create a course. Start with a free mini course and get going with creating and designing learning journeys to suit your clients or your business needs. Test with real people and start with a minimum viable product or project. This can be as easy as pie with Lifter’s e-course all-in-one design. Drop your hairy beast tech focus and don’t fall into what Chris calls “the gearhead trap.” But rather, create your Phoenix, an e-course of the future where innovation stems from imagination.